All U.S passport holders require obtaining a visa prior to departing for Vietnam. Although it takes only a few days for the visa to be issued, it’s recommended to make the application as soon as possible to make sure no administrative problems will occur at last minute. As a visa consultant, we are delighted and honored to share with you information about Vietnam visa requirements for US citizens. Vietnam issues many types of visas depending on the purpose of your trip. These include the “DL Visa” for tourists, “DN Visa” for business travelers, “DH Visa” for students, “VR Visa” for personal business… Tourists need apply for the “DL Visa” which covers all tourist-related activities. Both tourist and business visas allow single and multiple entries. Single entry visas let you enter Vietnam only ONE during period of visa validity. Multiple-entry visas mans you can visit the country as often as you want while the visa is valid. The tourist visa is valid from 1 month to 3 months and the business visa can remain validity for up to 1 year. 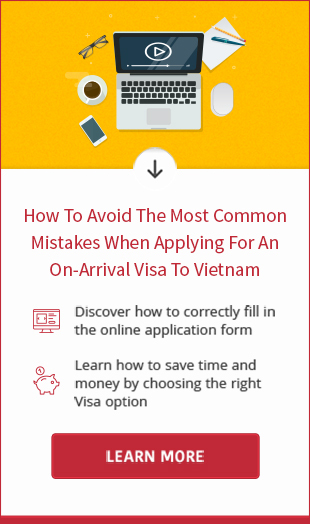 According to the immigration regulations in 2015, you cannot change the visa type from within Vietnam, so you should consider carefully when deciding the type of visa you need for the travel. 1. Original passport with at least 6 month validity. In case of emergency, a loose-leaf visa can be issued, then a passport copy can be submitted as alternative document. 3. Prepaid return envelope to get the visa by mail. Please use United States Postal Service or prepaid return FedEx label. 4. 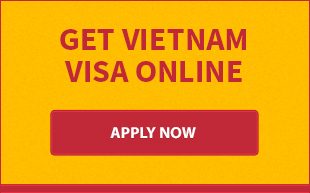 Visa fees in form of money order, cashier’s check, or company check payable to “embassy of Vietnam”. Five business days are required to process the application. The expedited processing takes only 1 or 2 business day. You are not advised to make telephone inquires on the status of application until after the third business days. For US citizens traveling by air, you are eligible to pick up Vietnam visa on arrival. However, an online application must be submitted through travel agents in advance to get visa approval, which assures you are granted visa stamp on arrival. The application for visa approval is very simple, you just need to fill out the application form on line and make payment with credit/debit card. After 2 business days, the approval will be sent to you via email. On arrival, you simply show the letter with origin passport, completed entry-exit form (download here), 01 passport photo and pay additional stamping fee to get the visa stamp from customs officer at the airport. Please note that the stamping fee must be paid in cash either in USD or VND. The on arrival process may be slow when there are too many people getting the visa at the same time. However, the stamping assistance service is always available if you need a support at the airport. Now you had known all necessary information to have a visa to Vietnam from USA. If you have any questions regarding Vietnam visa requirements for US citizens, don’t hesitate to drop us an email to [email protected] or call on +84 966 53 93 63.